I fell in love with Thailand on the island of Koh Lanta. In many ways this was the perfect island in which to see the two different sides of travel in Thailand. As we got off the boat, we saw the busy port town of Saladan was bustling with activity, neon lights and mostly inoffensive tourist traps. We stayed in the middle of the island, in a rented villa just a five minute walk from a small beach aptly called Relax Bay. Frequently empty, there were only a few beach restaurants, including one shack that served us a delicious lunch for under $5.00 (for two people!). 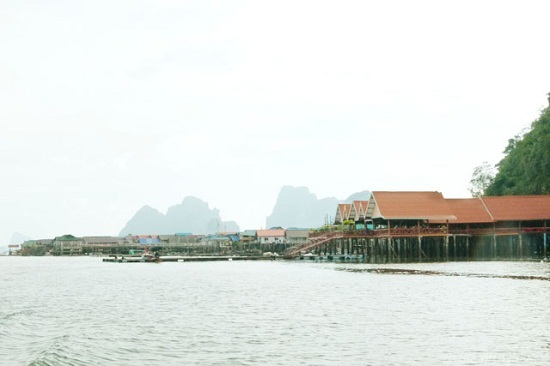 We explored the island by moped, finding a range of different sights from busier beaches lined with massage parlours and bars playing loud European music, to a small sea gypsy village with no tourist attractions at all. We crossed the island to the Old Town and we spent a day in the National Park where monkeys stole food from some fellow tourists who were having a picnic on the white sand beach. I think the paragraph above sums up the charm and challenge of Thailand as a holiday destination. There’s a lot of plastic, people and purpose built tourist traps, but there is also real beauty, real charm and real character. Thailand is a beautiful country – it has some of the most scenic national parks I’ve ever seen – full of rich regional culture and fascinating history, but the average visitor to Thailand will not know this. Dare I say it, the average tourist in Thailand will more or less consider the country his playground, and that is where there is a real danger of tourism ruining this beautiful country. Over the last two years I’ve spent more than five months in various “tourist-heavy” parts of Thailand. Based on this experience, here are five important ways I think we can help Thailand keep the character that makes it such a special place for travellers. The most important thing we can do for Thailand is respect that it has a culture that is different from our own. My experience is that Thai people get embarrassed easily and will often laugh or smile in a conflict in order to “save face”; be aware of this and don’t raise your voice or cause unnecessary confrontation. The King of Thailand is revered by all Thai people; never, ever say anything bad about the Thai royal family or show disrespect to the hundreds of images of him you’ll see in peoples’ homes, businesses and in roadside shrines. It is considered very rude to point the soles of your feet towards someone and when you see shoes outside a shop or business, you should also take your shoes off before you enter. Thai people are relatively conservative and rarely show more flesh than is necessary, and be aware that much of Thailand’s Muslim population lives in the south of the country and along the Andaman Coast; it’s respectful to cover up when away from the beach or swimming pool. I hopefully don’t even need to mention how one should dress when visiting religious monuments. In short, take a little time to understand Thailand and Thai people and you’ll find travel there all the richer. Tourism is Thailand’s fourth largest source of revenue and it carries many local economies; Thailand does not want tourism to go away. They want it to grow. So keep going to Thailand and keep spending when you’re there. Just be mindful of where you spend your money and don’t be afraid to explore away from the beach if you’re tempted to do so. Locals will be more than happy to help advise more unusual things to see and do in their area. 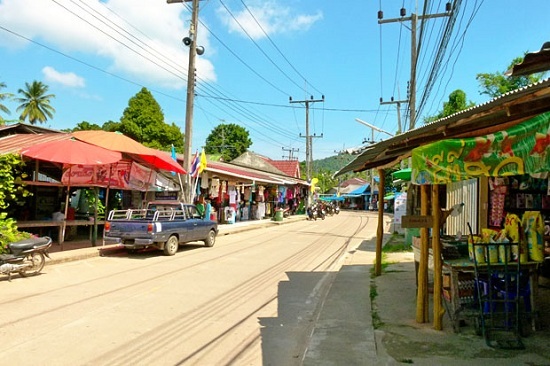 While Thailand is one of the strongest economies in South-east Asia, it’s still a developing country and there are many causes in Thailand (as there are everywhere) that tourism is going a long way to assisting. While travelling around Phuket and many of the Andaman Islands I've witnessed the great work of charities helping victims of domestic abuse, orphaned children, retired elephants and stray dogs and cats. Spending a few hours at these charities and donating what you can goes a long way – as does not forgetting these causes when you go home. Word of mouth is still the biggest influencer on travel decisions so use yours wisely. Share the good experiences you've had in Thailand and advise people of everything you've learnt about Thai people and Thai culture; you’ll give them a head start on that respect. Thai people want you to enjoy their country, not just because their livelihoods often rely on it but because they are very proud of their nation, their culture and their reputation as the Land of Smiles. Whether it’s lying on a beach, hiking in the rainforest or shopping in Bangkok, enjoy your holiday there and smile back when a Thai offers you one of their famous smiles; it will go a long, long way. Are you interested in visiting Thailand? Take a look at our Thai holidays for inspiration.